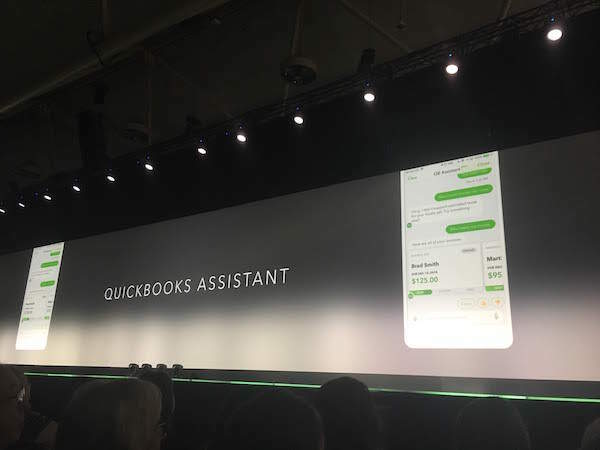 Well, Quickbook’s is hoping to make it a little easier on people like Sherman, announcing new feature updates attempting to address issues like cash flow which are faced by many small business owners in Canada. Quickbooks, part of Intuit Inc., announced at its Quickbooks Connect conference held in Toronto on Tuesday, that its Canadian customers will soon have access to new payments and payroll features meant to help them address cash flow concerns. 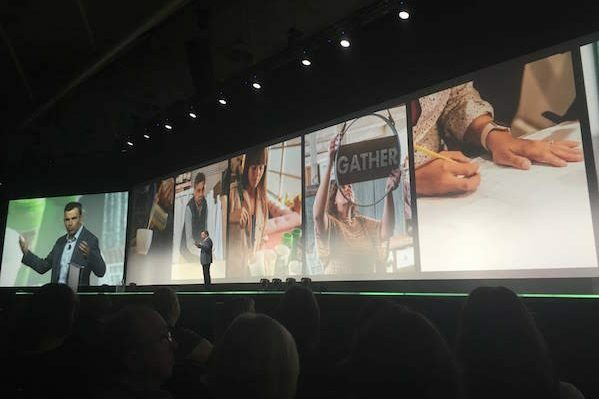 Quickbooks Connect Toronto 2018 was hosted at the Metro Toronto Convention Centre. When Jeff Cates, president of Intuit Canada shared on stage that a study by Intuit finds that 64 per cent of Canadian small businesses have experienced cash flow issues and a further 60 per cent have been at risk of not being able to pay employees by payday, there was resounding agreement from the audience. Cash flow issues seem to resonate with Canadian entrepreneurs and small business owners. Audience watches Jeff Cates’ onstage keynote at Quickbooks Connect Toronto 2018. The accounting software platform’s solution? Updates to its Quickbooks Payroll and Quickbooks Payments platforms. In the new year, Quickbooks Payroll customers will apparently have easier access to “year-end and record of employment workflows,” and Quickbooks will also finalize the integration of time tracking and scheduling automation platform TSheets, (acquired by Intuit this time last year). Quickbooks will also offer next day payments for its Payroll platform. “Coming soon, the new Quickbooks Payments feature will allow merchants to receive the benefit of next-day payments. This means money gets into their accounts the next businesses day, as compared to two to three days for credit cards,” stated a blog post about the updates. Cates said that its new next day payments feature will help businesses owners pay its employees on time. It is unclear whether Quickbooks itself is advancing the money or just helping to speed up the payments process by working more closely with financial institutions. He also noted that simply adding pay by credit card options right at the bottom of Quickbooks generated invoices has already significantly increased the speed of payments. According to ‘The State of Small Business Cash Flow in Canada’ study by Intuit that was also released on Tuesday, unsettled accounts is one of the major causes of cash flow issues. “A quarter of small business owners in Canada estimate their company currently has more than $20,000 in outstanding receivables,” stated the report. Calling it the “entrepreneur pillow” that every small business owner needs, Sherman emphasized the struggles that come along with starting and running a business, noting however that some of his best ideas came out of those late night crying sessions. While Sherman and his brewery have now found success, for many businesses cash flow is still a major concern. Intuit’s report goes on to say that among those experiencing cash flow issues, close to a third have been unable to pay vendors, loans, themselves or employees. And handling employees can be a major area of stress and concern for small businesses. Cash flow issues put those entrepreneurs and owners at risk of alienating and losing employees if they can’t pay them on time, stated the report. Local Toronto business owner Sarah Allinson-Chorabik, co-creator of Honey Creations told ITBusiness.ca that the Quickbooks payroll platform has made a big difference for her small business, especially bringing on its first employee earlier this year. She said the platform made is significantly easier to onboard and pay her first employee on time. Quickbooks also announced at the conference that it is continuing to focus on adapting machine learning, artificial intelligence and data analytics into its products. Cates announced that the Quickbooks virtual assistant, already available with Quickbooks Self-Employed mobile app, will be available Online Accountant mobile app early in the new year. He gave a demo on stage of the assistant’s natural language processing capabilities, showing it answering questions about profits or who owes the company money. 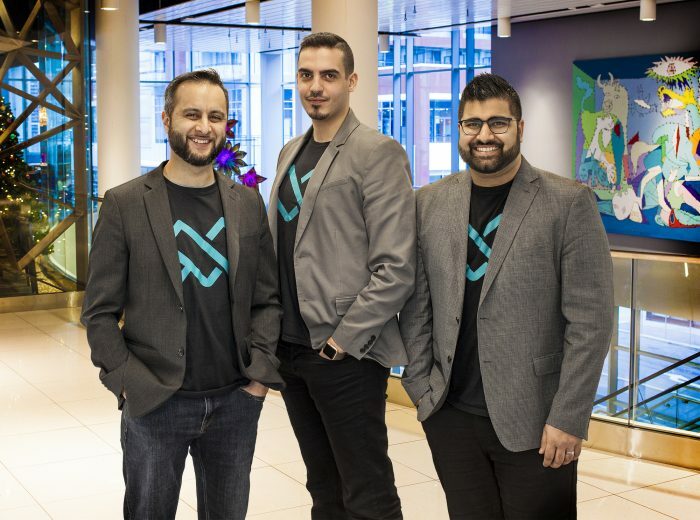 He told ITBusiness.ca that eventually, Intuit hopes to have its machine learning powered virtual assistant be able to make suggestions to its users based on what other similar businesses are doing, noting however that this type of feature is still in the development process.